Your story needs a voice. Tia gets your message across clearly in the way that works best according to your direction and input. Her rock-solid track record with years of experience in Commercial, Narration, eLearning and IVR for a multitude of top-tier satisfied clients will put your mind at ease as she ably embodies the words on the page in a way that will instantly connect with your listeners. 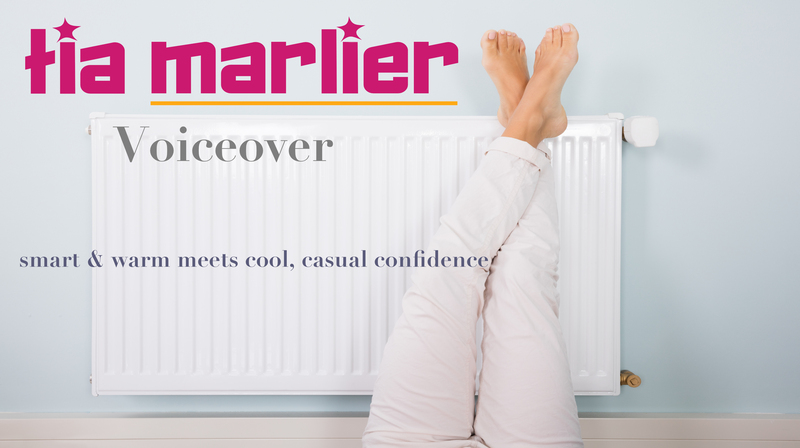 From sophisticated to no-nonsense confidence, Tia Marlier brings life to your story with versatile style that provides smooth warmth or crisp confidence with the added genuine trustworthiness of a friend or co-worker. Classy, real, personable – and very easy to direct. Relax – I got this! Reliable, consistent, tuned in to your needs. I bring skill, talent, finesse, warmth, quality sound and spot-on interpretation to your voiceover project, treating it with the respect it deserves and providing the excellence that will make shine! Direct Tia over the phone or connect with your preferred studio via SOURCE CONNECT. Like these many satisfied clients, get what you want and need. Clean, edited audio files delivered via FTP delivery available typically within 24-36 hours.